Israel was supposed to receive $3.2 billion for the 2014 financial year on October 1. The United States' military aid to Israel is being held up by the current US government shutdown, Israel's Minister of Economic Affairs to the US Eli Groner has told Globes. Israel was supposed to receive $3.2 billion for the 2014 financial year on October 1. Groner said: "We are not talking about a specific step regarding Israel. There is no budget for most government activities because there is no Budget Act or decision for a continuing resolution for ongoing financing for the coming financial year, and that includes the budget for foreign aid." The shutdown is the result of the dispute between the White House and Congress over the Affordable Care Act, dubbed "Obamacare." Earlier Thursday, US State Department deputy spokesperson Marie Harf confirmed that aid to Israel and other US allies would not be transferred on time. "The State Department's ability to provide military assistance to Israel and other allies in the time frame that is expected and customary could be hindered, depending on the length of the shutdown," Harf told reporters. Israel several months ago expressed concern over the possibility of a cut in the U.S. defense aid, during a previous crisis between Democrats and Republicans regarding the debt crisis. 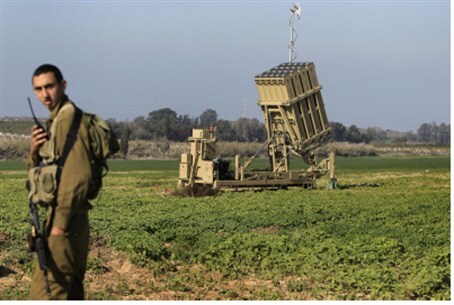 However, during his visit to Israel last March, Obama made clear that despite a budget crunch in Washington there would be no interruption to funding of Israel's Iron Dome anti-missile system.